If you like Mediterranean and Middle Eastern food, you hit the jackpot today. Norma's in Cherry Hill (995 Rt. 70 E., 856-795-1373) marks gluten-free options on its menu. About half of the items on the vegetarian-friendly menu are gluten free, including falafel (grilled or fried in a separate fryer), soups, salads, combo platters and entrees. 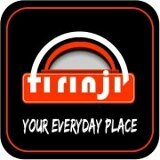 Reader Drew L. let me know via the GFP Facebook page that Firinji, a Middle Eastern spot in Ardmore (54 E. Lancaster Ave., 610-658-6246) has gluten-free items, including kumpir, a baked potato stuffed with various fillings. King Tut Restaurant in the Washington Square West section of Philadelphia (401 S. 13th St., 215-735-8111) can accommodate gluten-free requests, says reader Brian K. Nearly all items are gluten-free save for the falafel and sandwiches, and many are vegetarian friendly. Also in West Philly, Aksum Cafe (4630 Baltimore Ave., 267-275-8195) has updated its dinner and brunch menu to reflect items that are or can be made gluten free. A fourth Zoe's Kitchen is coming to the Philly suburbs, this one in Bryn Mawr (763 W. Lancaster Ave.) that's slated to open June 6. The Collegeville location opened two weeks ago, while the Marlton opening date is set for April 25 and Newtown planned for May 2. Reader Maria T. wrote on the GFP Facebook page that she ate at the Collegeville spot and found the food "very fresh and tasty" although the kitchen seemed to lack training on the gluten-free menu and preparation. 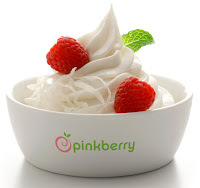 Next door to the Bryn Mawr Zoe's will be the area's first Pinkberry. The famed southern California frozen-yogurt chain is opening at 761 W. Lancaster Ave. in April and will follow that with a spot at Philadelphia International Airport. All flavors are gluten free, as are the fresh-cut fruits and many toppings. The GREAT-trained Ugly American in the Pennsport section of Philadelphia has closed, as has Fish in Washington Square West. Fresh gluten-free pasta is a thing, as I wrote in Tuesday's review of RP's Pasta. Joe's Eat At Home, a frozen-entree line offshoot from the Joe's Crab Shack chain, has three gluten-free varieties: Salmon with Sesame Ginger Sauce, Salmon with Honey Dijon Mustard Sauce and Mahi Mahi with Tropical Salsa. 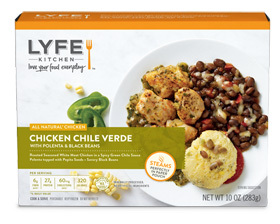 The West Coast healthy-lifestyle restaurant Lyfe Kitchen has frozen meals that are available in local supermarkets. The gluten-free options are Chicken Chile Verde, Farmer's Market Frittata and two soups: Sweet Corn Chowder and Organic Carrot Ginger. Coming soon are three varieties of gluten-free and dairy-free burritos from EVOL Foods, made with multi-grain tortillas: Chicken + Guacamole (cilantro lime white-meat chicken, black beans, brown rice and a tomato & roasted corn salsa with a packet of guacamole), Chicken (chicken braised in a sweet guajillo chile sauce, pinto beans, rice and a tomato & roasted corn salsa) and Shredded Beef (beef, pinto beans, rice and a tomato & roasted corn salsa). The suggested retail price is around $3-$4. For those celebrating, have a joyous Passover and Easter. I'll be back the first week in April.